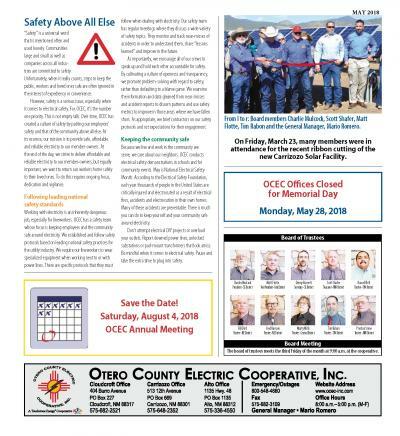 Enchantment | Otero County Electric Cooperative, Inc.
Enchantment is a monthly publication that is published by New Mexico Rural Electric Cooperative Association (NMRECA) and is available to all of our consumers as a benefit of our membership in NMRECA. 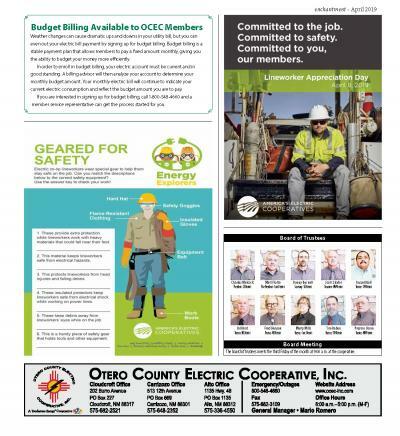 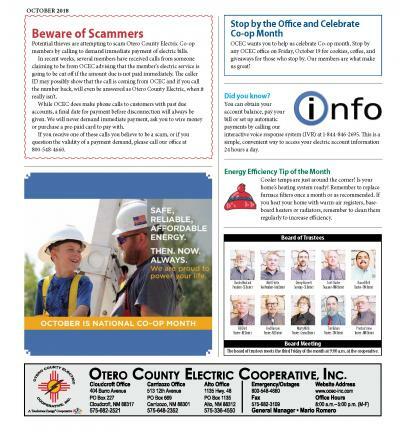 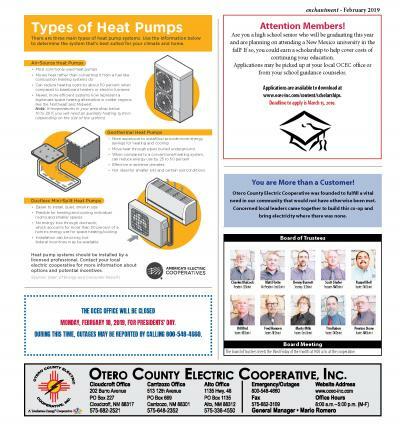 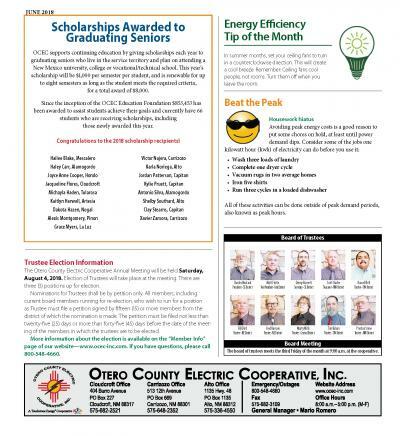 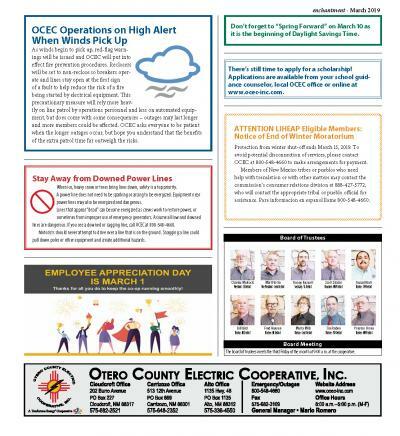 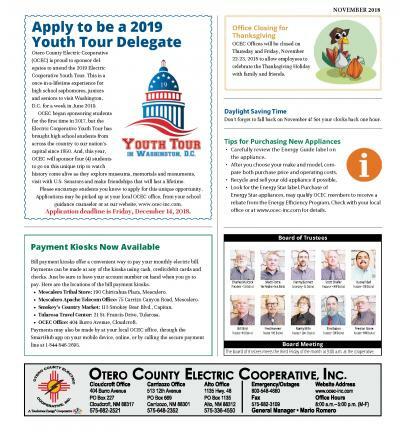 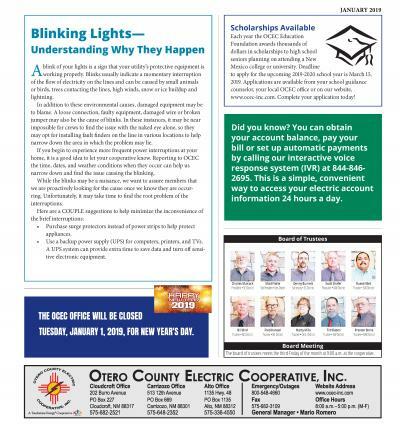 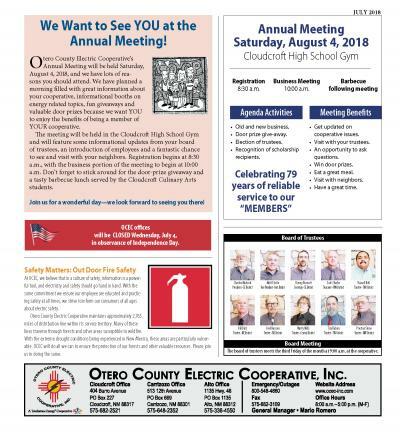 The back page of the Enchantment features news and information specific to Otero County Electric Cooperative and is a great source of information about energy efficiency and co-op news. 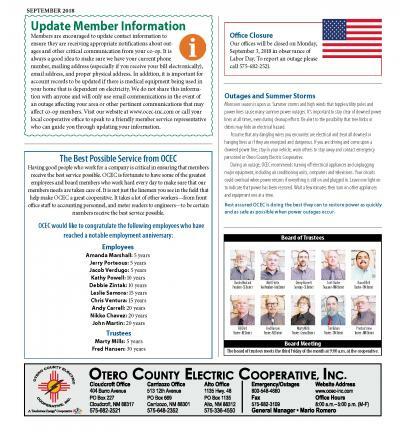 Click a link below to see OCEC's recent back page information. 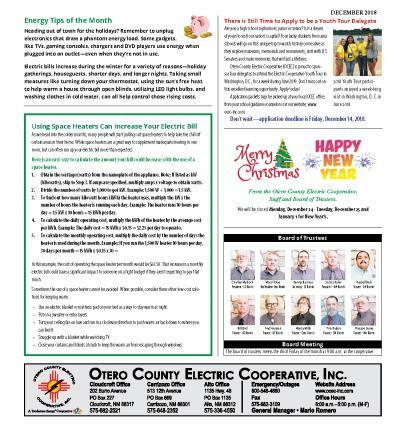 For advertising information or to view a digital edition of Enchantment, please click here.